In this chapter of our ultimate guide, we will explore how best to show off your brand’s story and the best techniques to employ to reach one’s ideal target audience. This following chapter is a mini sales 101 on how to start an online clothing store; we’ll show you how to generate leads (that’s business speak for knowing how to get your customers interested) and convert these leads into sales, through email marketing, social media and how to develop a strong online presence. How often do you open your inbox to find a newsletter from your favourite brands? How often do these emails inspire you to buy extra clothes or accessories? Newsletters are one of the simplest, yet most effective, ways to generate leads for your business. They help draw your customer in and they also help to keep your business at the front of your customer’s minds. How do you make sure your newsletter doesn’t come across ‘salesy’ and puts people off? Always add value; one of the most effective ways to keep your customers from hitting the unsubscribe button is to provide value in your newsletters. One great way to add value is by offering fashion tips in your newsletter. Another way to do this, is to share fun stories about what’s happening in your fashion business, such as a ‘day in the life’ of your design studio. 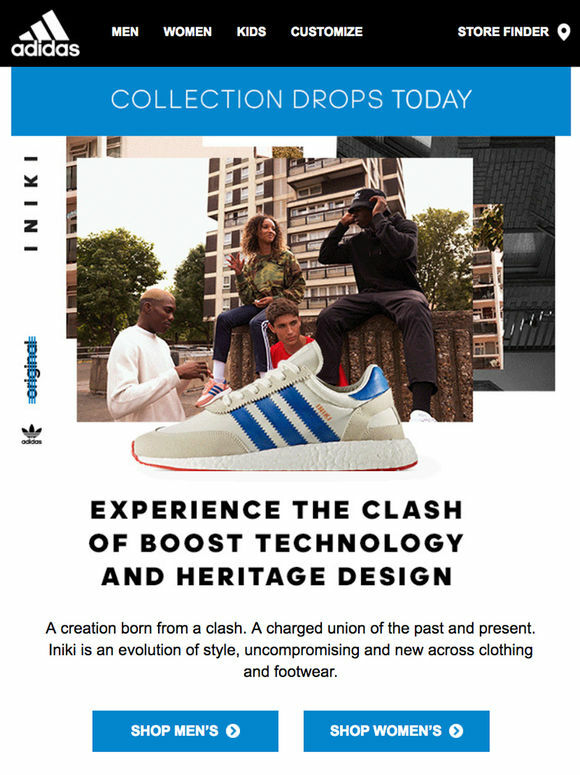 Newsletters are also a great way to show some of your newest items off; include photos of your latest styles in your newsletters. Also include any discounts that you are offering – this is one of the most effective ways to hook customers in and bring them back to your online shop. Send a newsletter weekly, or monthly: too little and your customers may lost interest, too much and you’ll find your newsletters getting relegated to ‘junk mail’. Follow any of your favorite celebrities on Instagram? Have you ever had outfit envy and tried to recreate one of their looks yourself? Welcome to the marketing power of Instagram. Instagram is handsdown the best social media platform to go for for advertising your clothing brand. It allows you to show off your clothes in a ‘natural’ light, which is very attractive to customers – selling, without hardballing it (which most consumers can sense a mile off). Subtlety wins hearts. Another one of the universal marketing laws, that you can easily utilize by setting up an Instagram account, is the marketing law of exposure. Studies have found that people tend to favor brands the more they are exposed to them. By regularly updating your Insta with photos of models rocking your clothes, you’ll be well on your way to creating a strong brand following. Instagram is also the perfect way to help get your brand seen by more people, as the platform now has around 300 million monthly users, many of whom are style conscious and fashion forward – using the platform for outfit and beauty inspiration. Instagram is hands-down the best social media platform to go for for advertising your clothing brand. In addition to Instagram, it’s also a good idea to set up a Twitter account and a Facebook account and get connecting to different users. The more you get your brand out there and interact with customers and potential customers, the more sales you’ll make. In addition, always remember to have a clear link to your online shop on all of your social media account profiles. Influencers are people with a strong online presence, who have the power to affect people’s consumer choices because they are perceived to be high-status. An influencer will be much more open to you if you have already taken the time to support their own creative work, as they won’t feel as though you are only contacting them to help promote your own interests. By forming relationships with influencers, you can gain access to their online following. There are many ways to connect with influencers and their audiences; one of the best ways to do this as a clothing designer, is to send an influencer one of your items of clothing for free – in exchange for a review on their blog, or a photo on their Instagram account. Reaching out to an influencer, to ask for their help in marketing your brand, will work best if you already have a strong relationship with them. Always take the time to build a relationship with someone, before asking them to help you to market your product. Another way to connect with influencers and to gain access to their audience, is by actively engaging with them on social media through comments and ‘likes’. If you keep an active online presence and your comments are seen by people following the influencer online, then those people are more likely to find their way back to your own social media account – and hopefully your online shop! We hope you found this chapter of our guide on How to Start an Online Clothing Store helpful. Now, let’s cover how to create and maintain strong relationships with your customers.